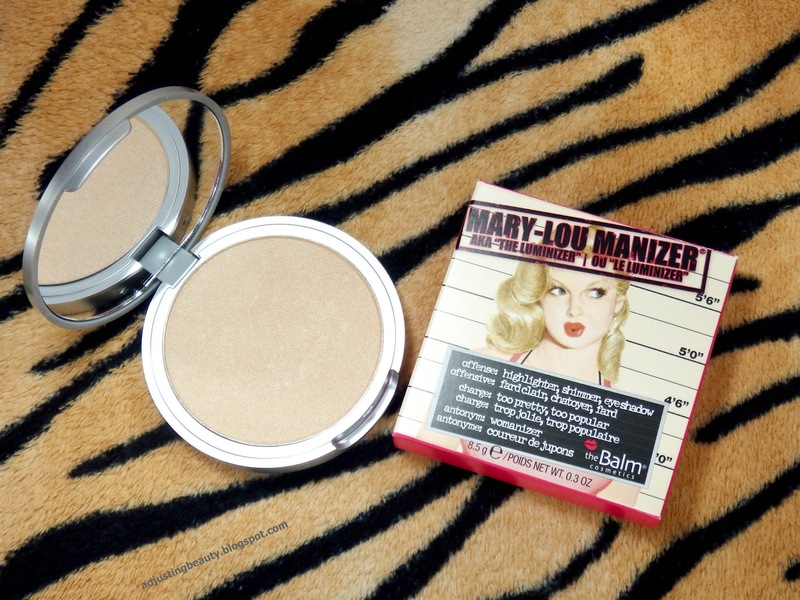 It was sale on Feelunique that sparked my interest in finally getting one of the most talked about highlighters, The Balm Mary-Lou Manizer. I don't usually splurge a lot of money on makeup products, because I'm a student and have limited budget - still. But if you know me, you know that I am obsessed with highlighters and because of that I decided, if I'll splurge on something, it has to be highlighter. It costs around 19.58€ on Feelunique, but it was on sale for 16.64€. You'll get 8.5 grams of product. It comes with a cute paper box. 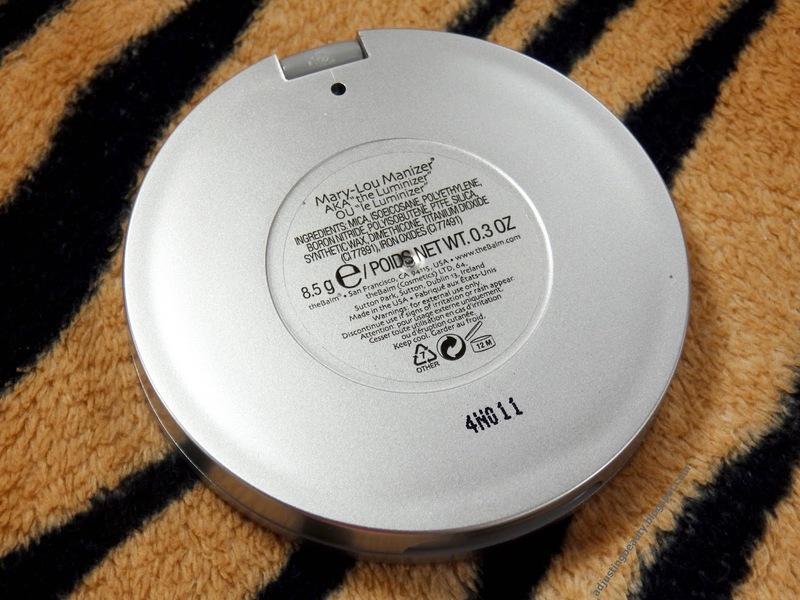 The packaging is plastic, silver and well made. It's made like a mug shot of vintage looking woman and it's so clever made, including description of the highlighter. 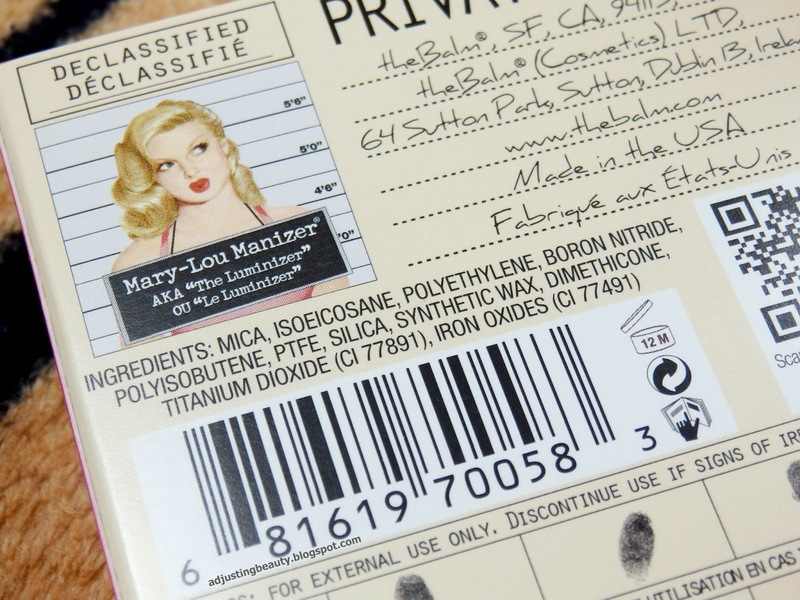 Here is the ingredients list. Inside is also a mirror, which can come very handy. 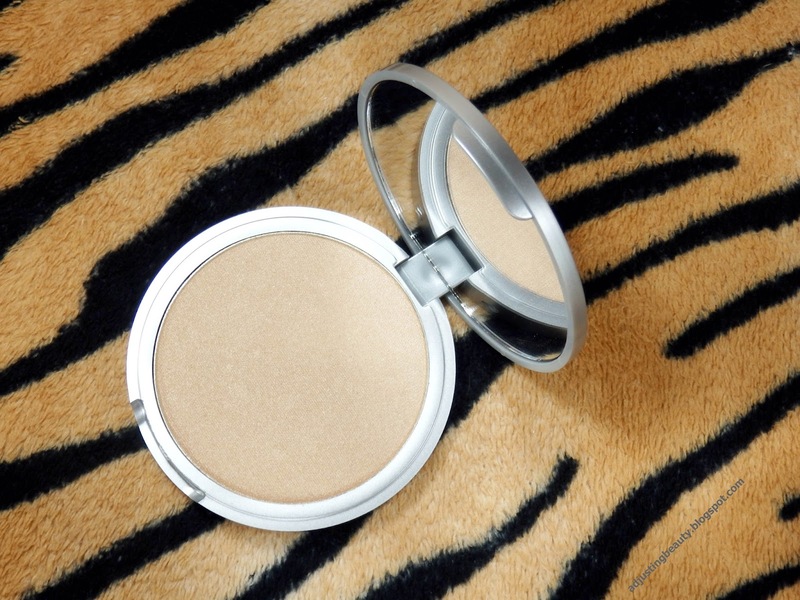 Now, let me say that this highlighter looks pinkish on most of the photos in the packaging. Don't be mistaken by that. It's actually completely gold toned. The texture is really silky, almost a bit wet. The pigmentation is amazing. It's yellow toned light gold. It actually has almost an orange shine to it, if you really pack it on your skin. 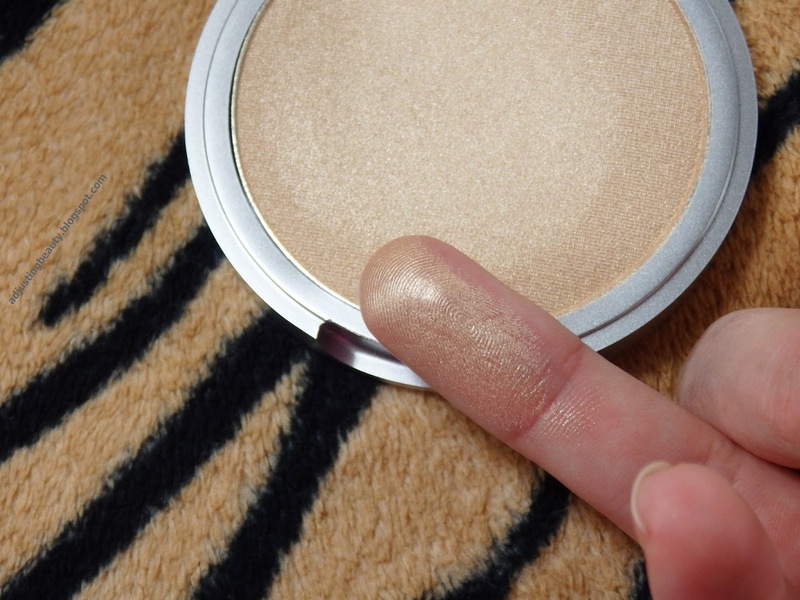 The shimmer in it is very small, but for most of the people this would be an obvious highlighter. No glitter, just a really high shine, which is exactly how I like it. I also wanted to compare it to my other highlighters. 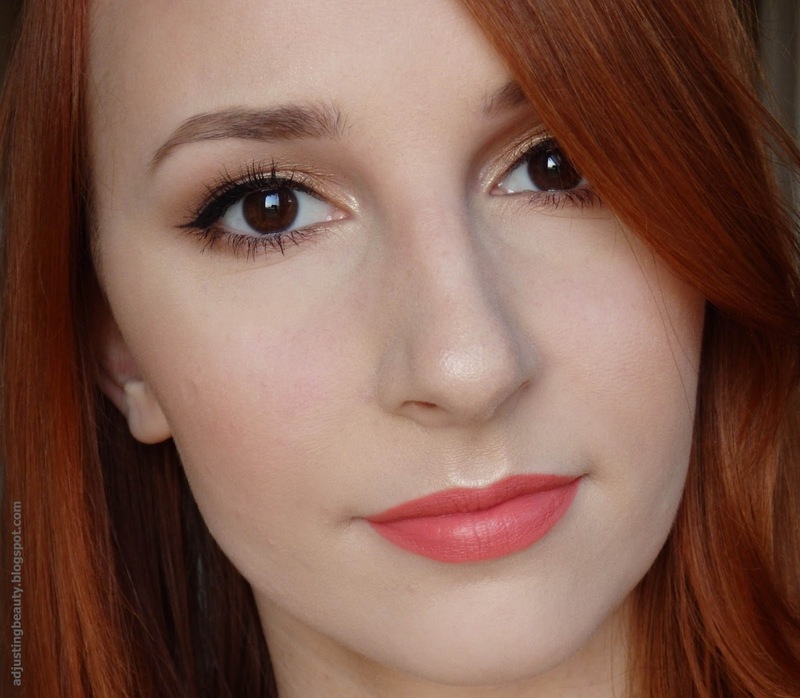 Terra Naturi has a lot more orange undertone and it's more for a medium skin tones, or for me when I'm tanned. It also has smaller shimmer than the other two. Essence highlighter from their Metal Glam LE is actually really similar to The Balm. It has that same silky feeling of wetness to it and the size of shimmer is pretty similar. The difference is in the shade. Essence is a lot more metallic and very very light gold shade. 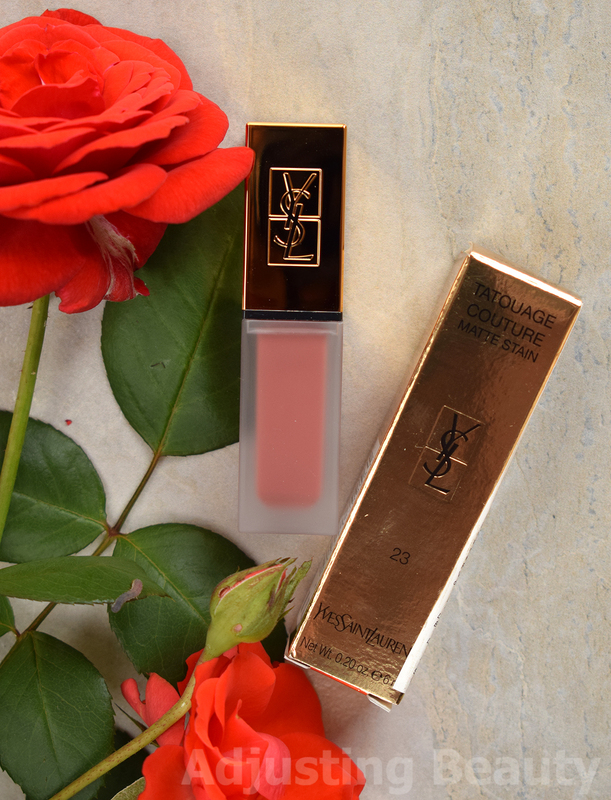 The Balm is a lot more yellow gold, therefore darker than the Essence and not as metallic looking as Essence one. 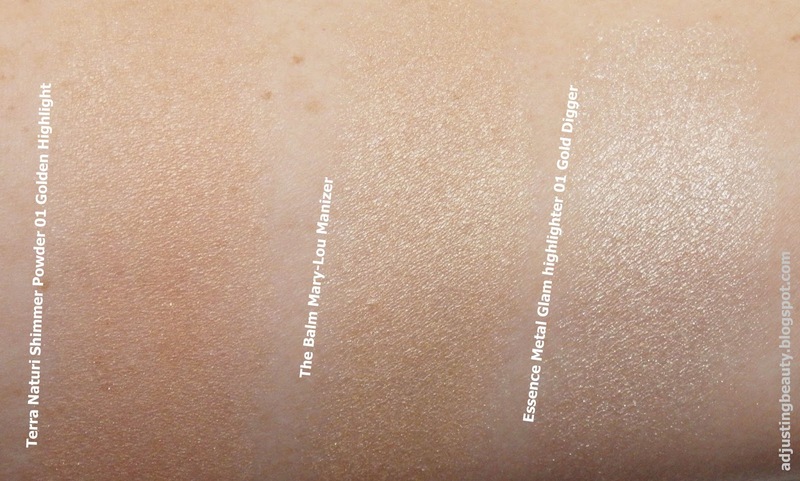 So, if you own Essence Metal Glam highlighter, thumbs up for you, because it's really similar to The Balm one, except for the shade. 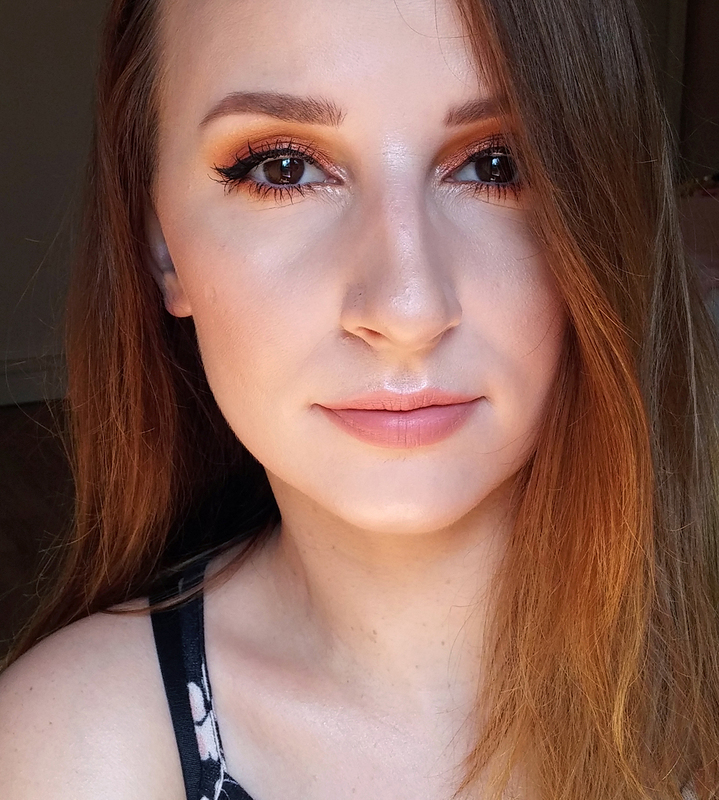 I figured that you can build up the intensity of The Balm highlighter. You can use very small amount of it on the brush and it will give you a nice subtle sheen on the skin. You can also pack it one again and again, like I do most of the time (guilty!) and you'll get a very noticeable shine on tops of your cheeks. Like Desi Perkins says, you'll be seen from the space ;). On the first photo it's a bit more light, as for on the other two photos I put a lot more on, as you may notice. 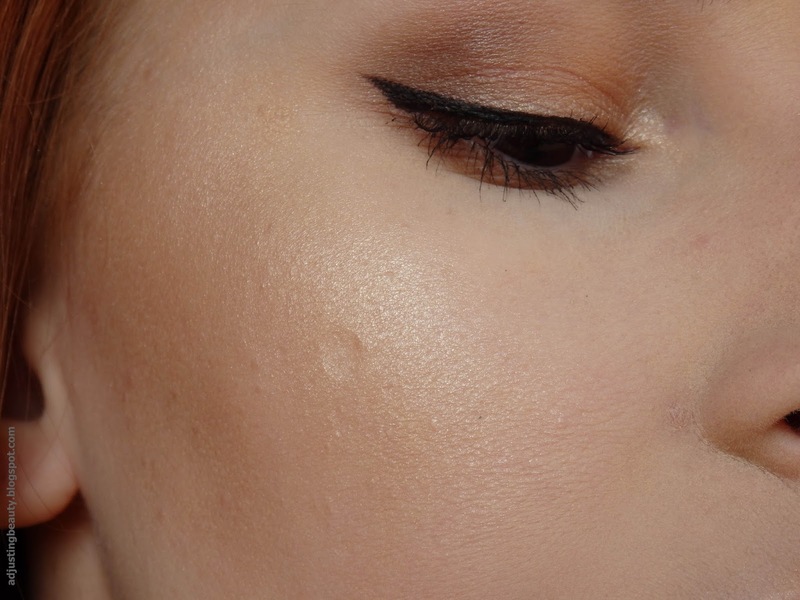 I will say if you really like highlighters, like I do, then go for it. 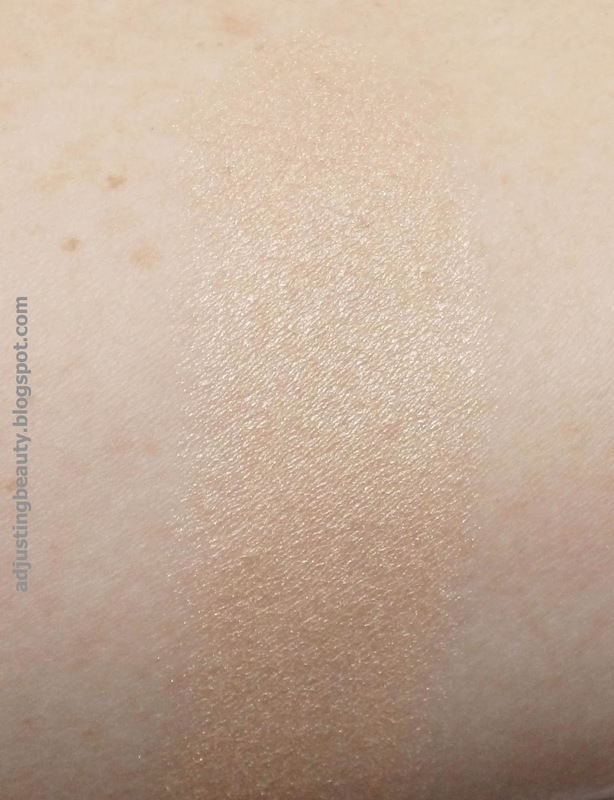 You won't regret buying this one, Especially if you are on the fair side of the skin and have more of a warm skin tone, although I think it would also suit cool tones in a way. It's definitely worth the money, because it's beautiful and you'll get a good amount of it. I've been wearing this highlighter every day since I got it and completely forgot about all the other in my collection. I really like this one. Ooo kako lep odtenek highlighterja =) in zelo ti paše!